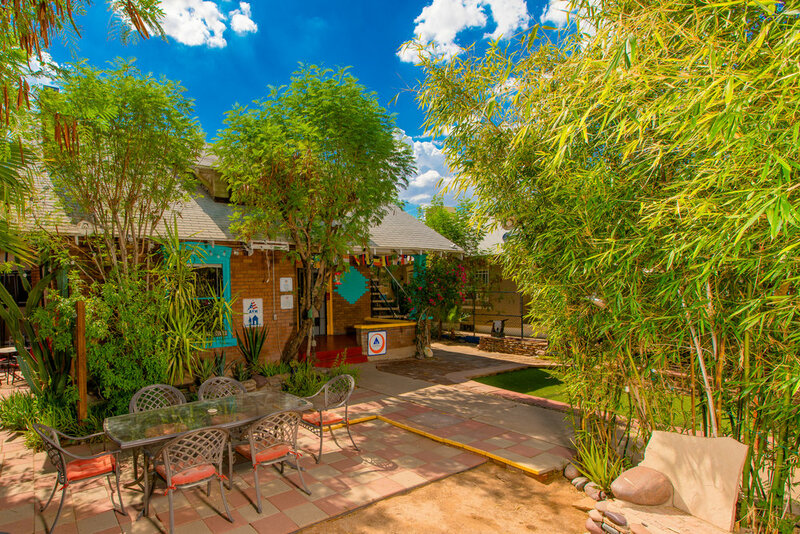 The Phoenix Hostel & Cultural Center is a unique blend of international hostel and cultural center. We invite our guests and community members to come together, participate, and enjoy theatre, dance, and music on the hostel grounds. Our beautiful gardens, vibrant programs, and fun atmosphere give our guests a once-in-a-lifetime experience without ever leaving our house! Join us every First Friday for a themed Open Mic Night hosted by Aliento, an undocumented & youth-led organization that provides community healing through art. This month’s theme is Shift. Check out the event page for more details! We believe that sharing a meal with new friends can feed a person’s soul, as well as their belly. This is why every Sunday, one of our staff members puts together an awesome, simple meal for all of our hostel guests! Dinner’s served at 7pm, and it’s FREE!